Published by : Workplace Standards Tasmania, Rosny Park, Tas. Published by : WorkSafe Victoria, Melbourne, Vic. Published by : NHMRC, Canberra, A.C.T. 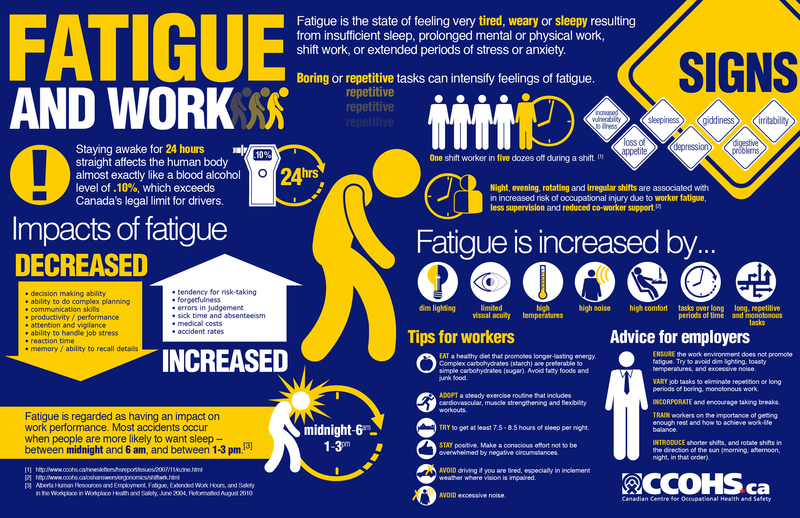 Fatigue and work infographic poster.